It was suppose to be a phone made exclusively for the China market but now Samsung is letting us all get a piece of this beautiful new phone. Today April 8th, they announced that the Samsung Galaxy Win will be sold worldwide. 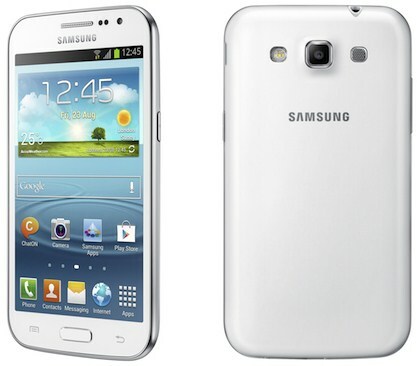 The Galaxy Win runs Android 4.1 Jelly Bean with a 1.2GHz quad-core CPU, a huge 4.7” TFT screen of WVGA resolution (199ppi pixel density). It has a 5MP camera that shoots D1 video, a 0.3MP front-facing camera and a microSD card slot. The battery has 2,000mAh capacity. Awesome! It will be available in two colors, Ceramic White and Titan Gray. The Samsung Win will be coming to multiple markets in single-SIM and dual-SIM versions. Samsung has yet to disclose pricing and availability. Stay tuned for more details about what looks to be a promising phone for use Android and Samsung lovers!